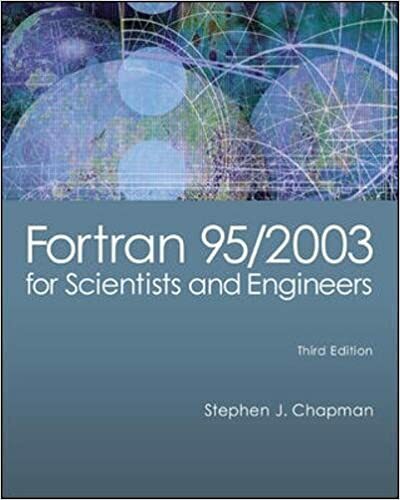 Chapman’s Fortran for Scientists and Engineers is intended for both first year engineering students and practicing engineers. This text is the most current alternative for Fortran. It simultaneously teaches the Fortran 95/2003 programming language, structured programming techniques, and good programming practice. Among its strengths are its concise, clear explanations of Fortran syntax and programming procedures, the inclusion of a wealth of examples and exercises to help students grasp difficult concepts, and its explanations about how to understand code written for older versions of Fortran.